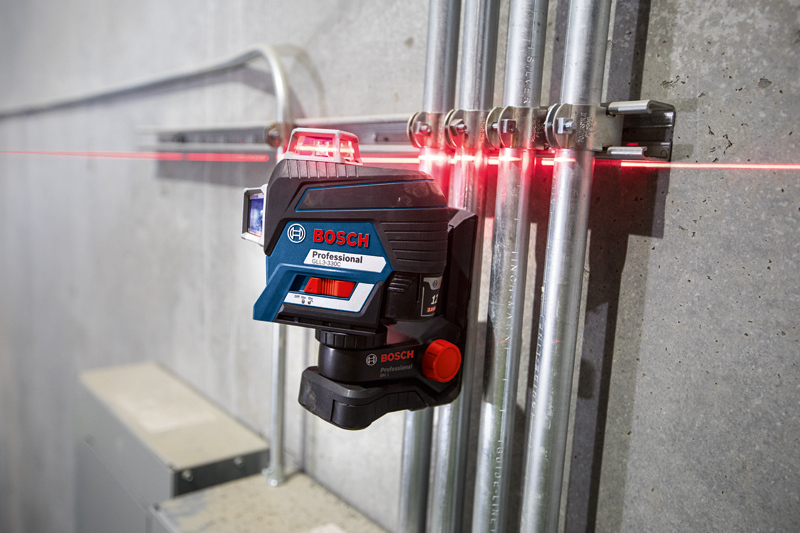 Designed as an all-in-one level and alignment laser, the Bosch 360° Connected Three-Plane Leveling and Alignment Line Laser is now available at KMS Tools—in both red and green for 4x the brightness. Shop now or continue reading to learn more. 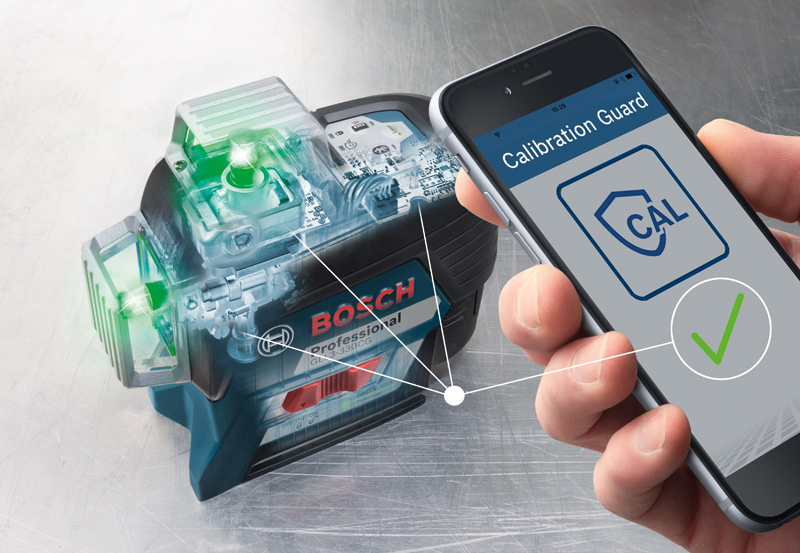 These new lasers project up to three lines—one horizontal and two vertical—at 360 degrees, and connect to the Bosch Leveling Remote App with Bluetooth. So you can adjust the laser with your smartphone and take on any interior leveling or layout application single-handedly. Both green and red lasers include the handy BM 1 universal mount. It offers three flexible mounting options: tripod, screws, or magnet. It connects to your smartphone with Bluetooth and the free-to-download Bosch Leveling Remote App, so you can change settings or set to standby from the comfort of your phone. It’s equipped with VisiMax technology that optimizes battery life while protecting the laser diode, striking a balance between high visibility, temperature control and battery runtime. It’s powered by a Bosch 12 Volt MAX lithium ion battery pack or four AA batteries for long-lasting performance and convenience. 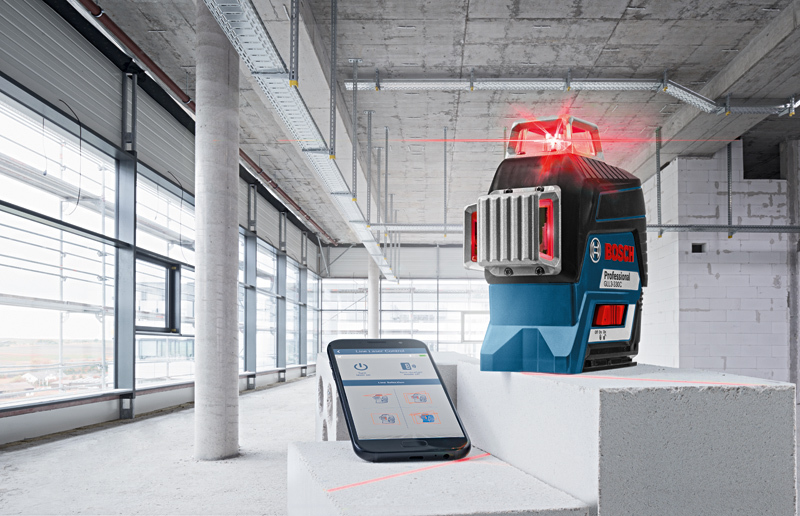 Pair the laser with the Bosch Leveling Remote App, and you can control the laser wirelessly with your phone. The app lets you select line settings, brightness levels, operating modes, and more—all without touching the laser. This means you can customize the laser to the conditions at your jobsite, while maintaining your benchmark. And if you’ve positioned your laser in a hard-to-reach place, the app could be a time-saver. In addition, the new plane lasers feature Bosch’s CAL Guard technology, which monitors calibration. If the laser suffers a fall or extreme temperature fluctuation, the app sends you a time-stamped reminder to check calibration. CAL Guard provides added confidence in the accuracy of the tool. Bosch has also equipped these lasers with VisiMax technology, which monitors the temperature of the laser diode and protects it from overheating, all while providing the brightest light possible. VisiMax adjusts brightness automatically to optimize visibility, protect the diode and regulate the battery’s power consumption. The result is a longer diode service life, better battery runtime and a highly visible beam. 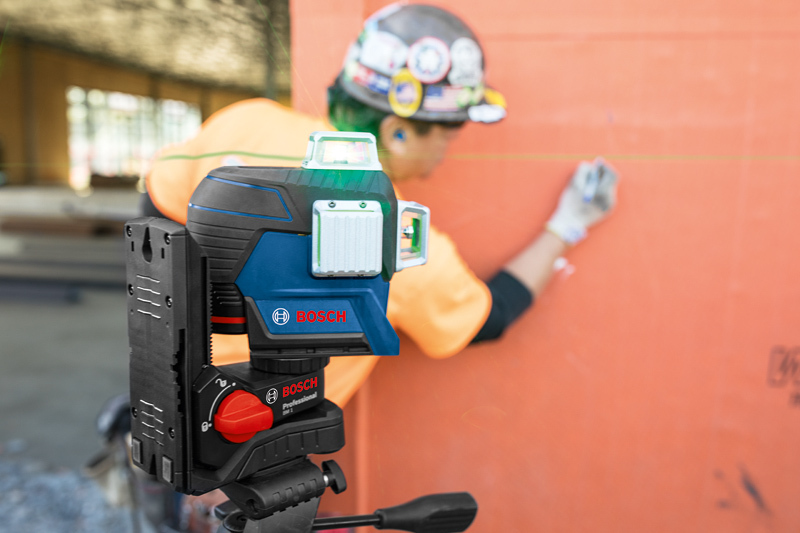 Both red (GLL3-330C) and green (GLL3-330CG) lasers include a Bosch BAT414 12V MAX 2.0 Ah battery pack. It’s a lightweight, compact lithium ion power source that’s compatible with all Bosch 12V MAX tools. Also included is an adapter that holds four AA alkaline batteries. The green beam is four times brighter than red, and is best suited for outdoor jobsites or bright-light conditions. While the green beam laser is four times brighter than the red, it’s also a tad pricier. Yet the green beam excels on larger jobsites or when lighting conditions are brighter than normal. The red beam lasers deliver professional-level accuracy and visibility—well suited to general interior applications. 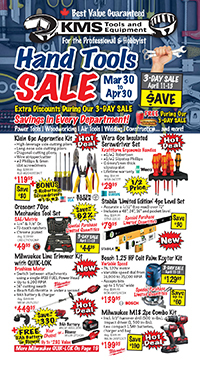 Stop by your local KMS Tools store or visit kmstools.com to get yours today! This entry was posted in Archives, Construction, Cordless Tools, New Tools, Power Tools and tagged 12V Max, Bosch, cordless tools, lasers, Li-Ion, Lithium, main_page, new tools, Power Tools, tool technology by Your Friends in the Tool Business. Bookmark the permalink.